What school has the best Choir in the US? I have no idea. But, in order to be the best choir in America you need to believe that you are the best choir in America. You need to trust your colleagues. You need to have conviction and passion. You need to sing with pride! 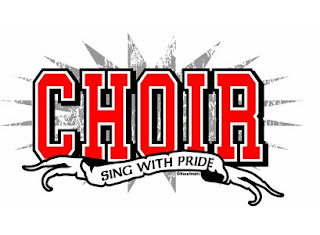 Custom options of Choir, Sing with Pride are available as well. Contact James at 800-324-5152 x 306 to get your custom order started. Mention the blog post and get 15% off! Ink Color: Red, White, and Gray are not your school colors.... Customize it!